Early Monday morning we awoke to loud thunder, followed by flashes of lightning accompanied by heavy rainfall that lasted several hours, bringing relief from the hot and humid weather we have been experiencing lately. The relief wasn't for long! Today was spent in the Niagara Penninsula, where we gathered with friends for a birthday party to celebrate my dear friend Marianne, who is back from the Netherlands with her husband after a wonderful time dutch family there. We were thankful for their air conditioned home as it felt like 38'c with the high humidity factor. As we travelled home, the storm clouds gathered and the rain began, followed by clashes of thunder and streaks of lightning across the evening sky. The two most basic elements that cause a thunderstorm to develop are moisture and rising warm air, especially in areas of high humidity and we certainly have experienced both! This reminds me of a favourite author of mine who would be considered a journalist or maybe even a blogger today. 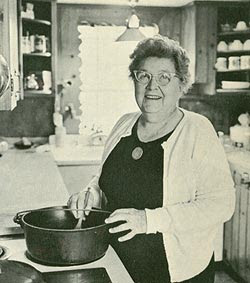 Gladys Taber (1899-1980) wrote about the changing seasons, life at her old Connecticut farmhouse, her gardens and her home, her neighbours and friends, the joys of every day simple life and good old-fashioned values, something that resonates with me today. 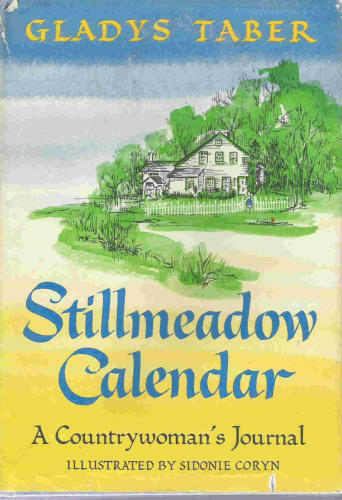 I really enjoy reading her thoughts on life and living in the country, where she experienced both the joys as well as the trials and tribulations. "This is the month of violent thunderstorms. I always begin to feel tense when the air gets heavy and threatening. Then the fierce white lightning scissors across the sky and black clouds empty tons of rain on the hot earth as the thunder roars and rolls around overhead. Father would go outside, so he wouldn't miss any of the splendor of the the storm. He was what I call a storm buff, but no matter how hard he tried to persuade me to enjoy them too, I never learned to care for them. However, they do break the heat, and the brief presence of pure cool air, sparkling wet leaves, and lucient sky refreshes the earth." We arrived home safely tonight from the Niagara area and went straight to the front porch so that we could all watch with fascination the thunderstorm and witness God's power in the heavens, while enjoying the refreshing rains that fell and the cooler night temperatures. "From where does lightning leap, or the east wind blow? Who carves out a path for thunderstorms? Who sends torrents of rain on empty deserts where no one lives? Rain that changes barren land to meadows green with grass."